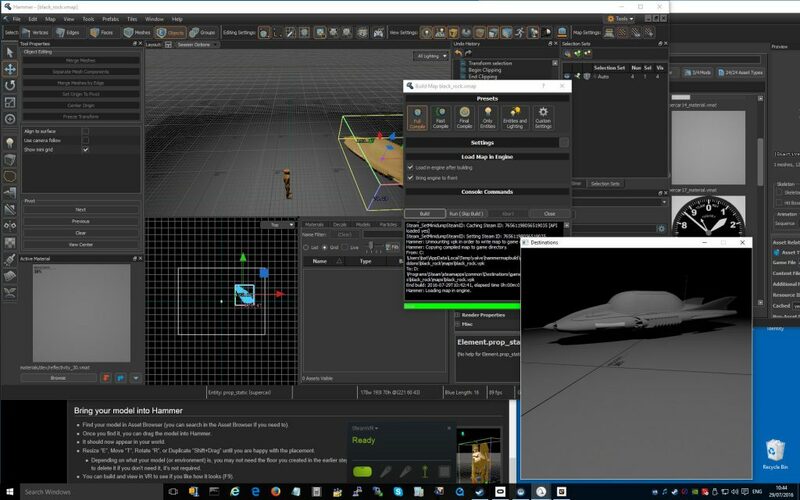 Destinations lets you create, share and explore different worlds in VR: photogrammetry scenes, game worlds, or anything else that can be represented by a 3D model (using OBJ and FBX formats). 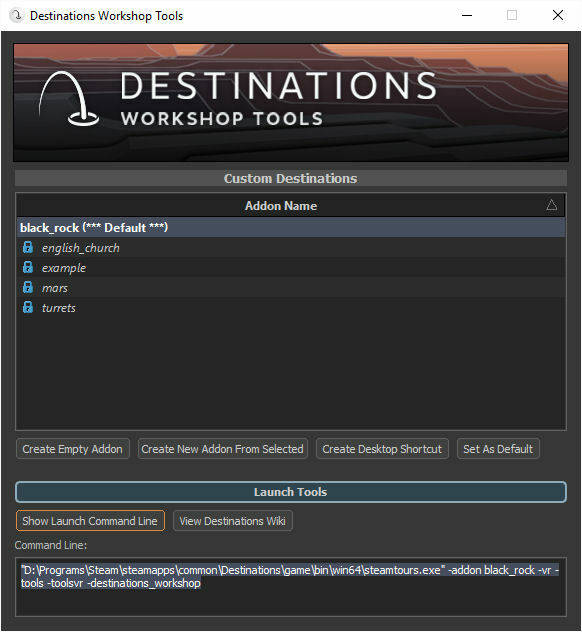 Destinations Workshop Tools is the toolkit for creating destinations. 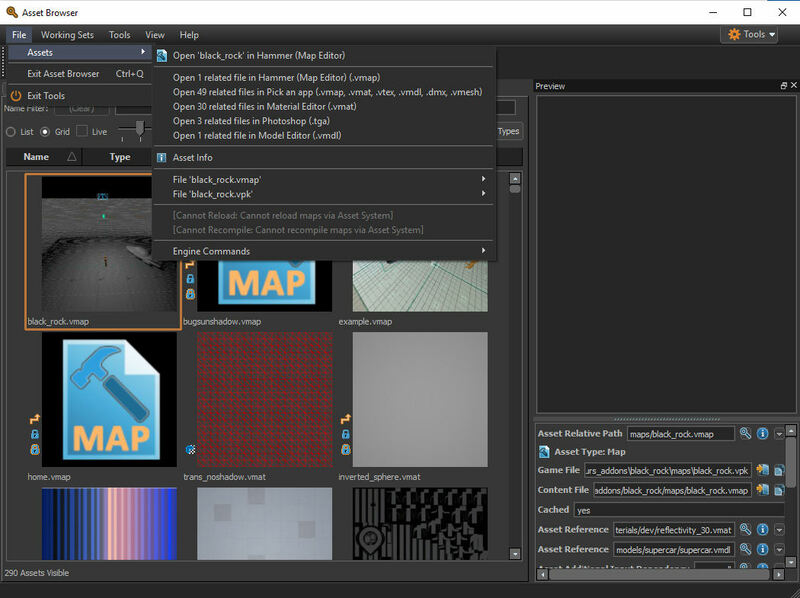 Select your destination scene (addon) when the Asset Browser tool opens. On 28th July 2016, valve announced that Destinations would work with multiple players and friends lists in the same environment and able to communicate via voice. So this offers a basis for “OpenVCE” and “I-Room” style destinations for group collaboration and operations centres. This entry was posted in VR and tagged Destinations, Example, Steam, VR. Bookmark the permalink.